Property (Real Estate) Taxes are paid in the Trustee’s Office in the Courthouse or at the Hamblen County Government office in the College Square Mall. Taxes become due on October 1st of each year and become delinquent on March 1st the following year. Personal Property Tax is paid by businesses on the depreciated value of their equipment. It is paid to the Trustee’s Office. They become due on October 1st of each year and become delinquent on March 1st the following year. 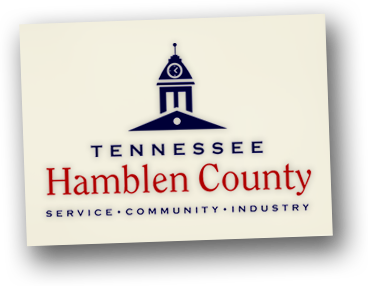 Specific questions about property taxes and property tax payments should be directed to the Hamblen County Trustee’s Office at (423) 586-6290. Gross Receipts Business Tax is paid to the County Clerk . This tax is based on the gross sales of the business. Contact theTtax Enforcement office at (423) 581-8712 for help in completing a business tax forms or for help with any questions. Sales Tax is collected by businesses and paid to the State of Tennessee. Contact the State Department of Revenue to apply for a sales tax number (you will be leaving the Hamblen County Website).